Please join us for our brand new Neighborhood Memory Café, sponsored by CFCS. The Neighborhood Memory Café will serve the communities of Cambridge, Somerville, Waltham, Watertown and Belmont. Individuals and their caregivers and/or families are encouraged to attend. What is a Memory Café? It is a place where individuals with memory loss and their caregivers or families can get together in a safe, supportive, and engaging environment. It is a time and place when people can interact, find support, share concerns, and celebrate without feeling embarrassed or misunderstood. 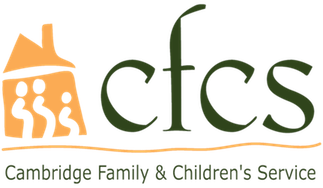 The CFCS Neighborhood Memory Café will be held the 2nd Saturday of every month from 10:00am to noon at Cambridge Family & Children’s Service, located at 60 Gore Street, Cambridge, 02141. Free parking is available onsite. We look forward to meeting you!